Would you believe that this Chicago match is the first time these guys have ever started a game together? 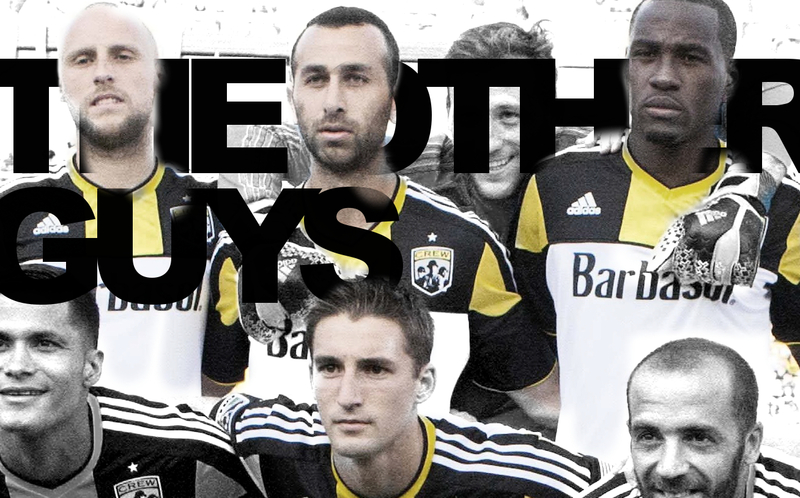 Ethan Finlay, Justin Meram, Eric Gehrig and Tony Tchani are players that have dotted Crew lineups for the past few years but have never really been the main attraction. Yet, this past weekend, the four of them contributed to one of the most comfortable Columbus wins in recent memory (snapping a long eight game winless streak in the process). The four of them share a common thread in a strange way in that they are more or less currently seen marginal MLS talent. Regardless of how I rate them, none are big time signings and outside of some local blogs, tweets and Dispatch personality profiles the rest of the country will never know them, but all are critically important to the Columbus Crew franchise. Major League Soccer has gone through a good bit of contraction and expansion with many a plethora of rule changes over the last decade. So any sort of stability is to be valued. Take a look as some of the newer franchises in the league: The Philadelphia Union, Montreal Impact, Toronto FC, Vancouver, Chivas USA and even Portland. What they lack is an semblance of continuity. Momentum. It will be some time before they find stability. Not just because the way the league is set up but because it just takes time time to settle any organization, let alone a sports one. Momentum is no easy thing to achieve, ask any business owner. The secrets to gaining it are never found by most and sometimes when it's lost, like in the case of Cleveland sports teams, it's never really found again. Anthony Precourt, Gregg Berhalter and company are new to running a MLS franchise and will likely trip over every bump in the road until the find their bearings but as long as they have guys in the organization that have been around a bit. Know how hard it is to get that chance. Know what it's like to be ridiculed. To be benched. Booed. Know what it's like to have to wait months between starts while watching newly signed players get chances in front of them and do it all while not causing major disruption... they will be okay. Eric Gehrig, Tony Tchani, Justin Meram and Ethan Finlay might never again find themselves in the same starting lineup earning three points for a win starved team, so it is to be valued. I value it. Criminally under valued, regardless of what happens next with these guys , is that they will be quietly contributing to the stability of the entire organization for as long as they are with it.